Use the form below to choose your rental. Why Arwood Waste for all your storage needs? Whether you're in need of Business Storage, Construction Storage or Residential Storage, Arwood has the portable storage solution for you. Whatever your specific needs are for temporary or permanent on site storage Arwood Waset will work with you so that you have the exact size container you need. This is mobile storage, so we come to you. 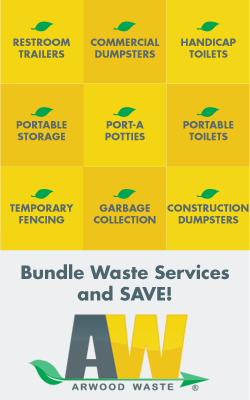 Contractors, home owners, retailers and government agencies know that Arwood Waste is the best choice for storage solutions.